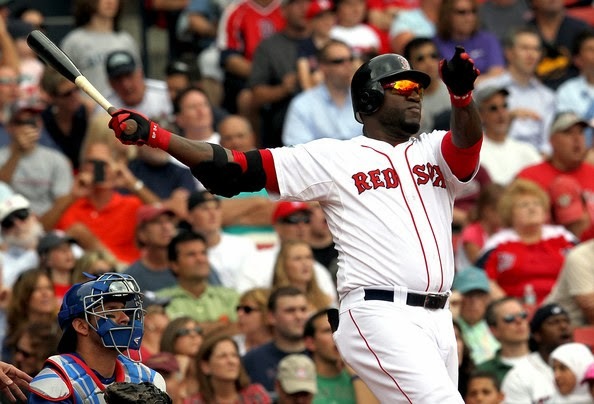 Will David Ortiz and the potent Red Sox offense be able to overcome Tampa's deep pitching staff? Tomorrow night, the scorching Tampa Bay Rays will encounter yet another playoff game on the road, taking on the division rival Boston Red Sox. This series will mostly be a battle of pitching versus hitting, as the deep Rays pitching staff will face one of the most potent offenses in the league in Boston. Will the Red Sox and their big bats prevail, or will Tampa Bay’s pitching staff limit their opportunities, squeak together some runs and grind out the series win? Tampa Bay will likely go with four starters throughout the series, if necessary: Matt Moore, David Price, Chris Archer, and Alex Cobb. Price and Cobb obviously both pitched well to get them to this point. Despite getting in a couple jams against the Indians, Cobb didn’t let up a run, and has been the most consistent starter this season. Price seems to be settling back into his own after a complete game against Texas (who he historically has performed very poorly against). But it gets murkier from there. Moore was an All Star before the break and looked like he was the best arm on the staff with Cobb and Price both sidelined, but the 24-year old appears to be running out of gas down the stretch. Last season, Moore had a fantastic rookie year, but struggled in September where he posted a 5.48 ERA in five starts. While he is faring better this September, he has only surpassed six innings once in his last six starts. Against a high-powered Red Sox offense on the road, Moore could struggle in Game 1. Archer is facing similar command issues, looking rocky in his last two starts against the Orioles and Toronto. Neither Archer nor Moore has pitched in the postseason, so it will be interesting to see if they can bounce back under these stressful circumstances. Boston’s offense will have to adjust to a heavy dose of lefties, and perhaps lefty batters like David Ortiz and Jacoby Ellsbury will struggle in certain matchups. However, righties like Dustin Pedroia and Mike Napoli should be able to offset this and take advantage of this fleet of southpaws. While Tampa’s starters are impressive, Boston’s offense is certainly no slouch, finishing first in the MLB in runs, slugging percentage, on base percentage and second in batting average. It will be interesting to see if the Red Sox lean on veteran rotation players or shift to youngsters like Xander Bogaerts. Given the fact that Stephen Drew hits left, it’s possible Bogaerts could get some playing time if manager John Farrell trusts him, despite his lack of big league experience. The Sox also feature a solid rotation, with John Lackey slated to start Game 1 and John Lester, Clay Buchholz, and midseason acquisition Jake Peavy scheduled to follow. The Rays have been able to come up with enough runs to win lately, but are by no means an offensive powerhouse like Boston. Peavy, understandably, hasn’t been as effective in Boston as he was with the White Sox, but Buchholz looks to be back on track after a lengthy stint on the disabled list. Ranking third in quality starts this year, the Red Sox have the depth and power to knock off the Rays; it’s just a matter of whether Tampa Bay’s momentum can carry them into the ALCS. Just a few weeks ago, it appeared as if the Rays were in danger of losing their grasp on the final wildcard spot. Although Tampa Bay was neck-and-neck with Boston in mid-August, momentum shifted at the end of the month when the Rays lost thirteen of seventeen, looking primed for a collapse midway through September. Just when everyone counted them out, the Rays rallied, reeling off victories one after another headed into the last weekend of the season and looking like a virtual playoff lock given the struggles of the Texas Rangers. But with a favorable schedule for Texas and a couple untimely losses to the Blue Jays by the Rays, the season ended in a tie. Tampa Bay won not one, but two elimination games on the road to finish the season winning ten of their last twelve, solidifying a date with Boston in the ALDS. Momentum certainly means a lot in the playoffs – just ask the 2011 St. Louis Cardinals. This factor is clearly working in Tampa’s favor right now. Boston didn’t finish particularly well to end the season, winning just five of their last eleven against the Rockies, Blue Jays, and Orioles. However, the division title was locked up at this point, and it was pretty clear they would gain the top seed in the American League as the Tigers began to falter. While I wouldn't read much into the end of Boston’s season, the quick turnaround Tampa Bay exhibited to end the season was remarkable, and their momentum going forward certainly holds weight. There’s always been a rivalry between Boston and Tampa Bay that has taken a backseat to the usual Yankees-Red Sox banter. But this series will certainly heighten the already intense atmosphere between these two teams, and should turn out to be one of the better matchups in the first round.